Guess what film turned 21 today. 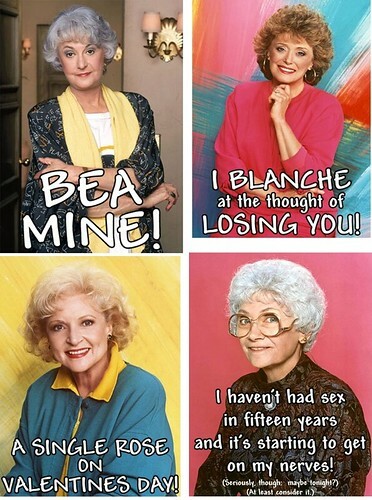 Previously: Darwinian Valentines, Golden Girls Valentines. In retaliation, Radiohead is now targeting Perry’s audience with their new single “Fake Plastic Tweens”. These Are the Homes You Are Looking For! Astronomers have discovered a fourth moon orbiting Pluto. The tiny new satellite, temporarily designated “P4”, has an estimated diameter of 8 to 21 miles. These are the sort of jokes you make after a decade of marriage to a botanist. 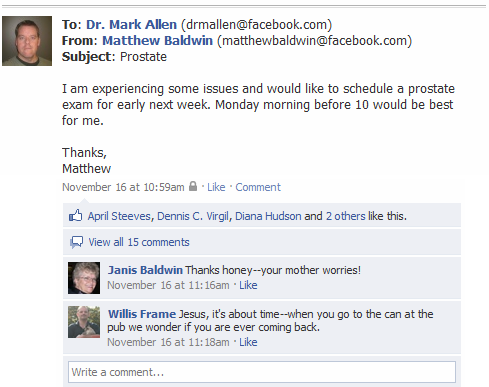 Facebook announced a new email service yesterday. Oh yeah. That’s gonna be awesome. 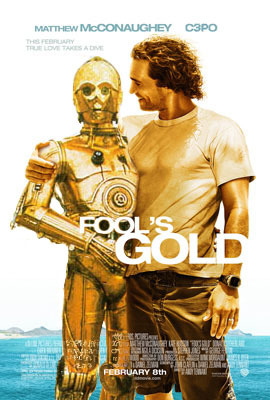 I made this last night after walking past the movie poster for Fool's Gold and thinking there was something odd looking about Kate Hudson. When I suddenly figured out what it was, my partner wasn't buying my theory, so to make my case I had to "augment" the image to bring out its true spirit. Now I'm no photoshop wiz, so I was pretty pleased with the way this one came out. 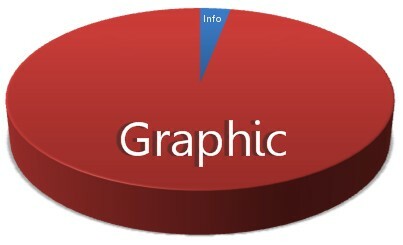 I wanted to share it with more people, but it's so nerdy! Also, I don't have a blog. Anyway I thought you'd appreciate it! Feel free to post it as a reader contribution, though please don't credit me if you do. I don’t understand why someone would decline credit for this, but I’m not one to say no to free content.